All DAS students are expected to be responsible adults and adhere to our attendance policy. Under our New Managed Enrollment Attendance Policy, Day students are given 6 excused or non excused absences for each quarter, and Night Students are given 4 excused or non-excused absences for the quarter. On the 6th (day) / 4th (night) absence of a quarter, the student will be dropped. 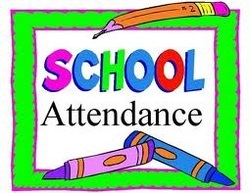 In addition, students can also accumulate partial absences as well (arriving late, or leaving early). Five partial absences equals 1 full absence.